Decide what your brand does best. A brand can't be all things to all people. 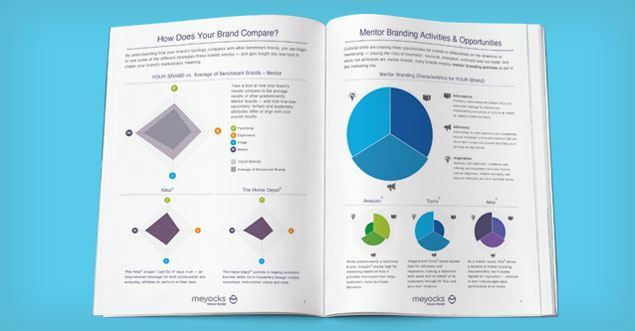 Meyocks developed the Brand Typology Tool to help marketers like you confirm their understanding of their brands’ strengths and weaknesses — and uncover opportunities to build even more meaningful connections with customers. The entire assessment only takes about 3 minutes to confirm your brand type. At the end, you’ll have the opportunity to get your free detailed report that includes comparisons to other brands and initial thoughts on using the results to help your brand mean more. To see a sample report, click here. Questions about the Brand Typology Tool? Read our FAQ.